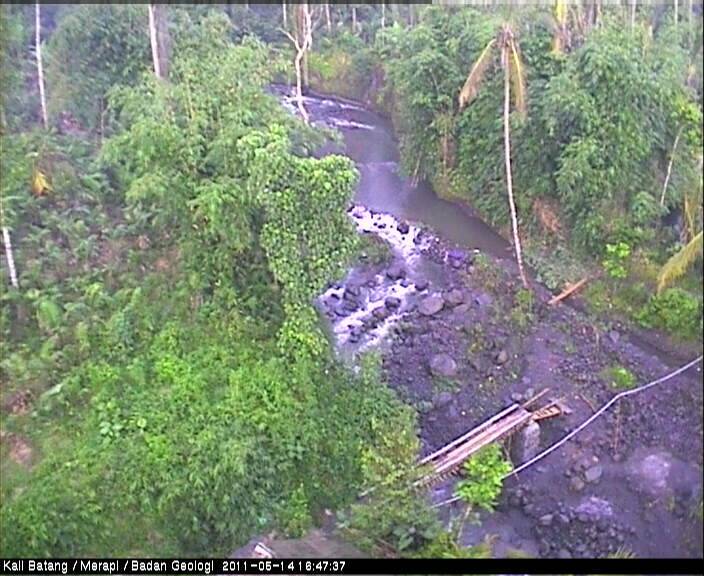 11 webcams were set up near the rivers that descend from Mt. 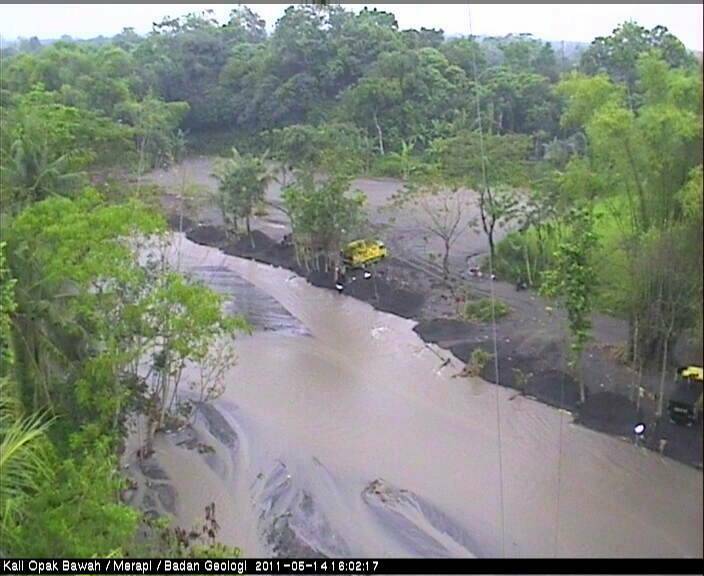 Merapi. These are also the main flow routes of LAHARS - e.g. 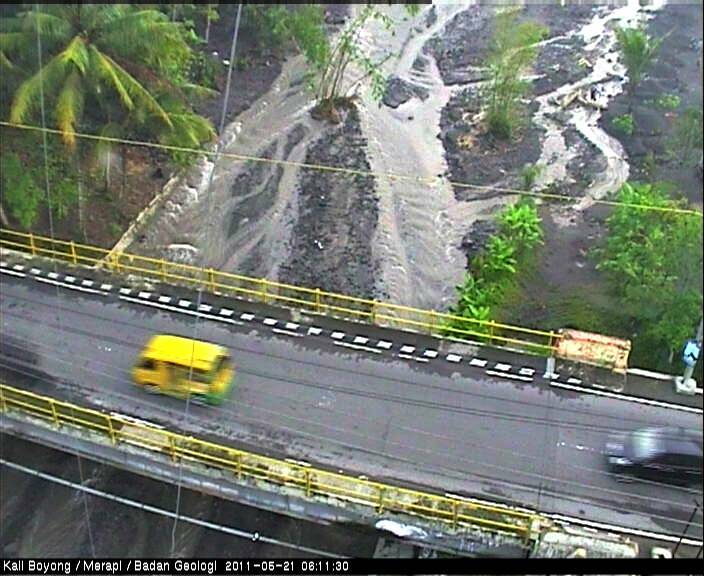 mud and debris flows that are triggered in rainy weather. 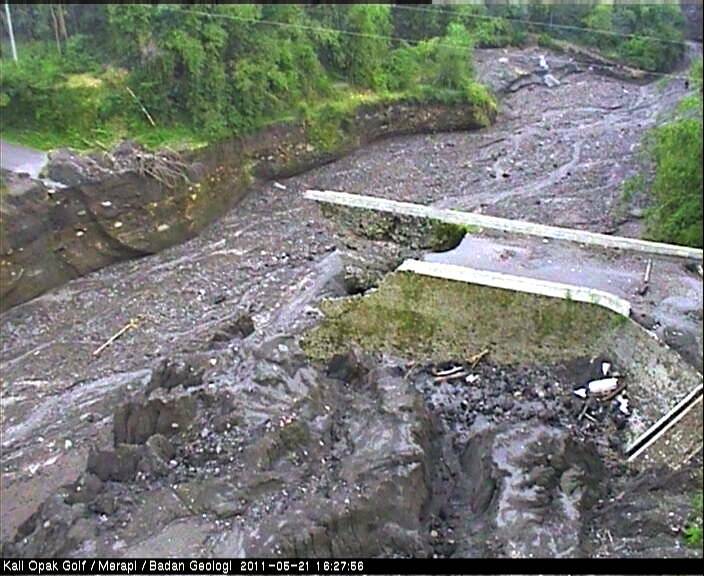 After a lot of rain loose volcanic ash particles from last eruptions mix with water and come down the river valley as a tremendously fast and high water/mud torrent. 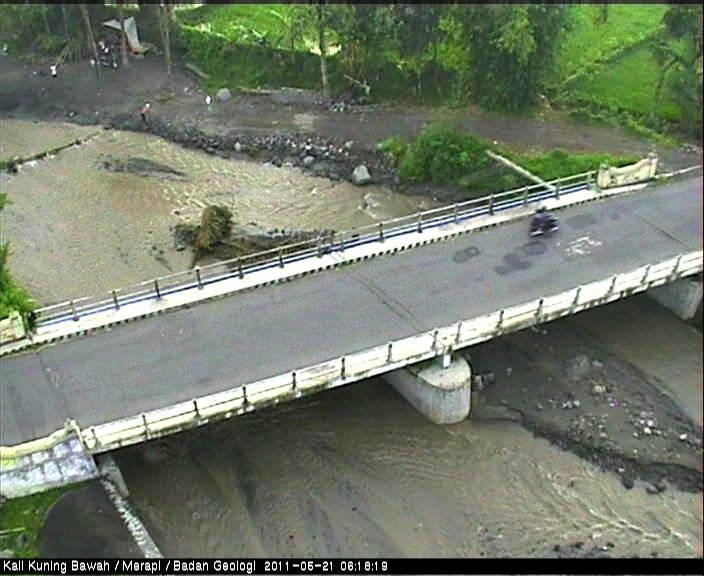 This not only destroys houses, but it often costs lives, mostly children's who played near the river. 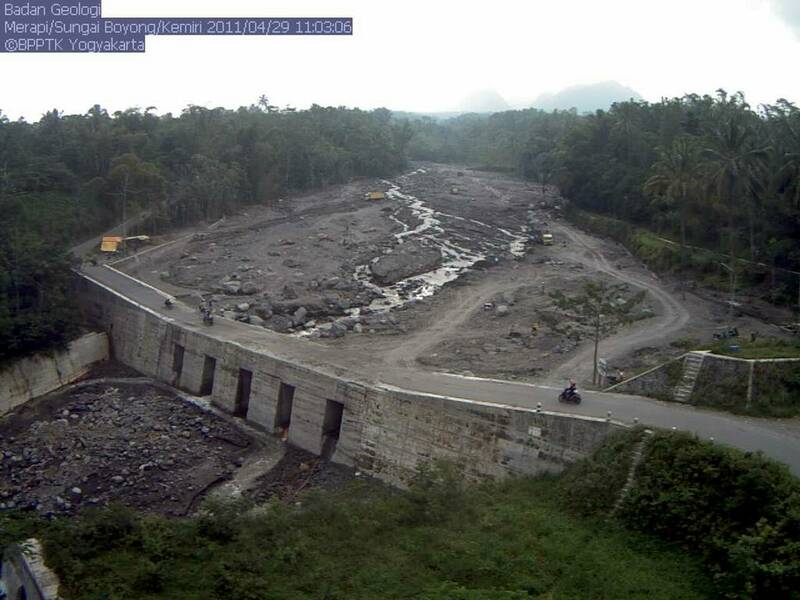 On some of the webcams dam-like structures can be seen (called SABO). 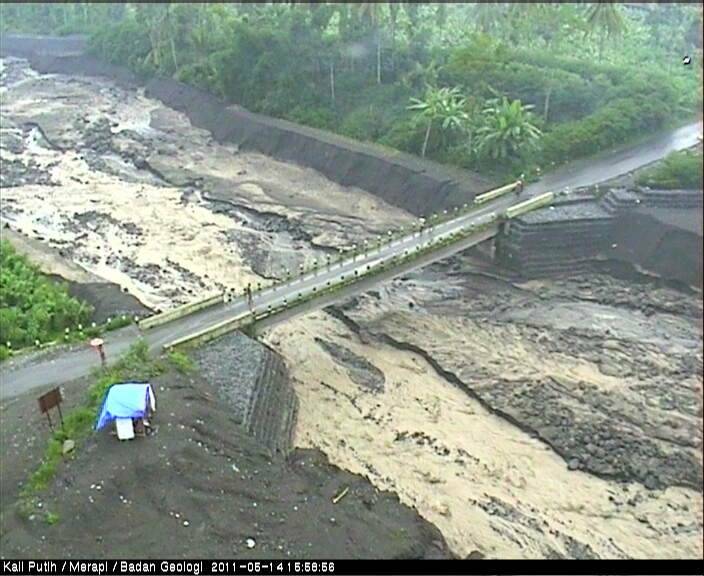 They help to slow down or stop the mudslides. After lahars the "stowage" space behind the wall is filled with mud and debris almost all the way up. In the left column are the actual camera images. 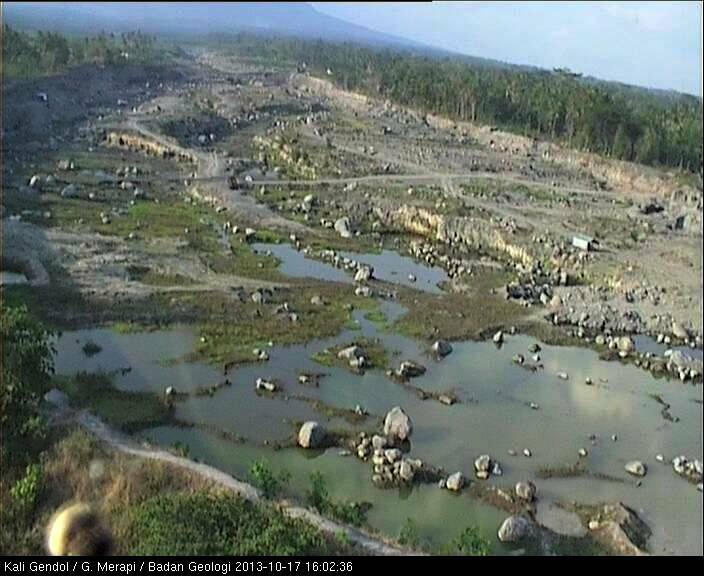 Each image is a link to Badan Geologi's webcam page (full screen image, opens in new tab). 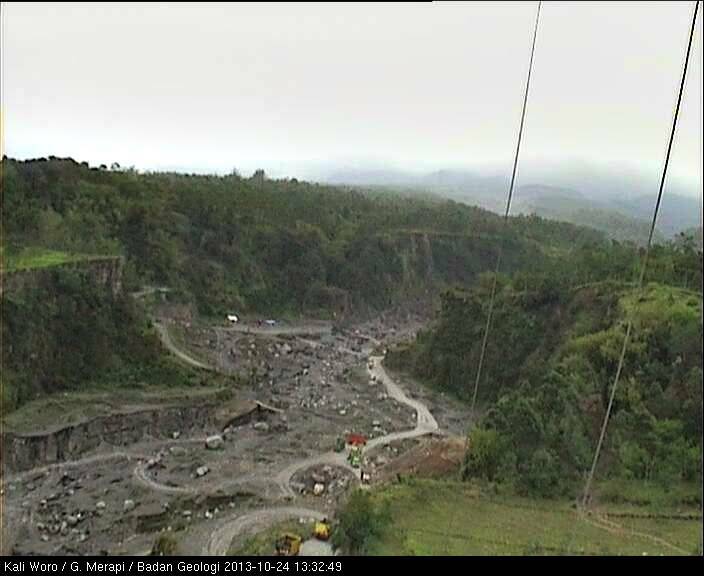 - Right column: Images that have been saved earlier from the same webcam, for comparison, to show any changes. Compare: 14.05.2011 Rainy day. 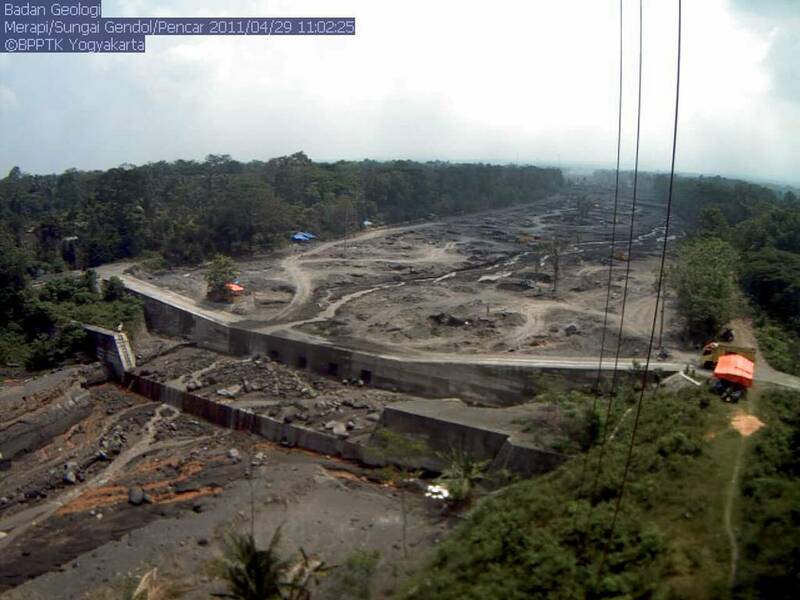 On the left river bank (right) many loads of material are dumped for stabilisation. Compare: 21.05.2011. No water here at this time, just mud. Kali Senowo (112). Please check the date on image! 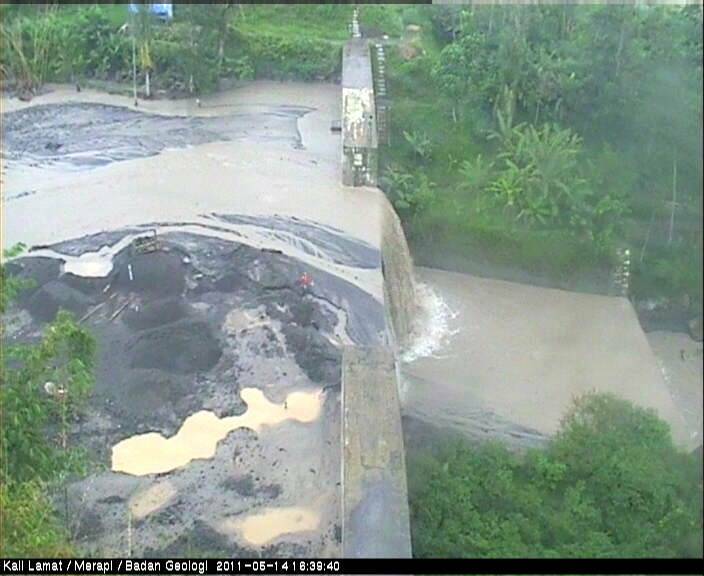 Kali Batang (78). Please check the date on image! Compare: 14.05.2011. 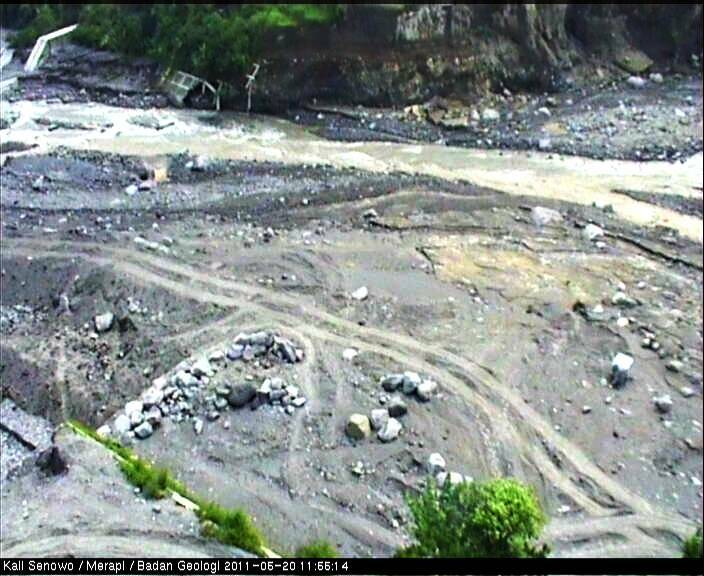 Why do people shovel big holes into the river sediments - searching for something? 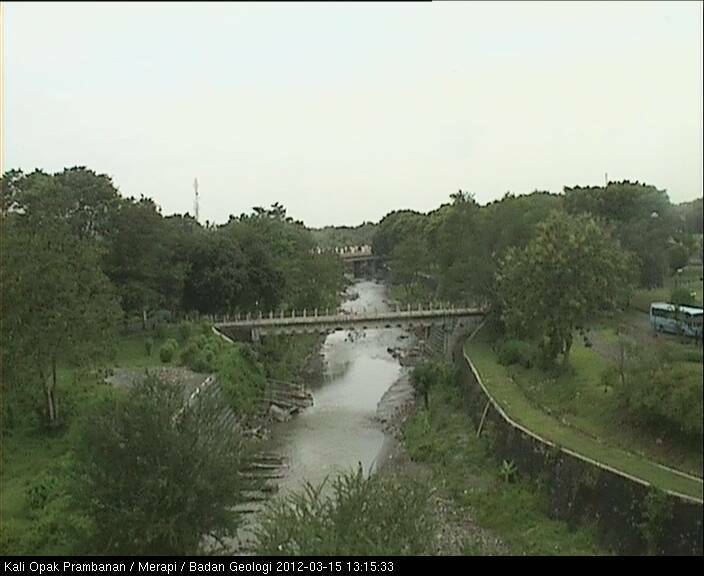 Copyright for all images belongs to the respective owners of the webcams. Compiled by me, Petra, ..........@gmail.com. Enjoy!